Marilyn A. (Hartman) Seitz, 88, of Tiffin, passed away at Volunteers of America Autumnwood Care center on Friday, March 29, 2019. Marilyn was born June 21, 1930 in Tiffin to Louis and Leta (Plentz) Weisheit and they are deceased. On October 23, 1948, she married Norman W. Hartman and he preceded her in death on December 6, 1984. She married Richard D. Seitz on September 9, 1995 and he preceded her in death on February 7, 2018. Marilyn is survived by three sons, James (Carol) Hartman and Daniel (Teresa) Hartman both of Tiffin and Michael (Michael Wyss) Hartman of Chandler, Arizona. A fourth son, Stephen Hartman died June 2, 2000. She had five grandchildren and four great grandchildren Nathan (Becky) Hartman and their daughter Gabi, Ryan Hartman, Todd (Katie) Hartman and their daughter Ellison, Daniel (Amy) Hartman and their children Parker and Emerson and Andrea (Robert) LeClair. 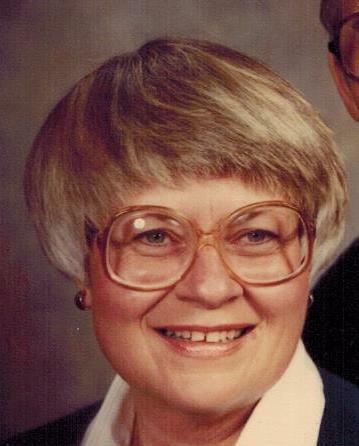 She was a member of St. Joseph Catholic Church and a 1948 graduate of Tiffin Calvert School. She enjoyed golfing, playing bridge, traveling and a passion for painting in watercolors. Most of all, she loved her family and friends. Her funeral service will be Wednesday, April 3, 2019 at 12:00 noon at Hoffmann-Gottfried-Mack Funeral Home & Crematory with Rev. Frank Murd and Rev. Jospeh Szybka officiating. Burial will follow in St Joseph Catholic Cemetery next to her first husband, Norman. Friends may visit and share stories with the family on April 3, 2019 from 10:00 AM until the time of service at the funeral home. Memorial contributions may be made to St. Joseph Catholic Church, Calvert Catholic Schools or Community Hospice Care.